HOMEOPATHY is a natural treatment method, based on a principal which states that “similar needs to be treated with similar”. This treatment uses natural medicinal substances which promote self healing reactions. It is considered to be “reactive medicine”, since it observes responses of a healthy human body as well, to natural medicinal substances. Its nomenclature comes from a greek word HOMOIS=similar and PATOIS=suffering/ pathology. Indian, Greek, and Chinese cultures. Dr. Hahnemann was the first who applied the Similarity Law to “modern” medicine. In 1790 he conducted an experiment in which he, as a healthy individual, ingested a small dose of quinine tree bark and developed symptoms very similar to symptoms that occur in malaria itself, so he concluded that the tree bark in healthy individuals, causes symptoms of disease, that it can cure, in sick individuals. On the basis of this experiment he wrote the first principle of homeopathy, SIMILIA SIMILIBUS CURENTUR i.e. SIMILARITY HEALS SIMILAR. After this first experiment, Dr. Hahnemann continued his work and tested many substances, some of which were very poisonous, and by continuous experimenting, he found the smallest curative amounts of given substances, which he used in treatments of illnesses, with the least amount of unwanted side effects caused by medications. The homeopathic patient is in a state of imbalance, which is caused by a noxious matter, and the sensitivity and uniqueness/individuality of the ailing person, influences clinical presentations. Try to compare the human body with a pyramid, at the base of which are physical, functional symptoms, in the middle are emotions that can cause physical illness, and at the top is mental strength and condition, that can also cause either mental or physical ailments. Homeopathic remedies act by stimulating bodily reactions to a pathogen, causing initial “worsening’ of the symptoms, i.e. enhancement, after which improvement occurs. The basic principal of homeopathic medicine is holistic, which means, that the human is looked at and approached in treatment as a whole, with all the physical, mental, and spiritual characteristics. Symptoms do not represent illness, rather they are positive reactions in which the body reacts positively to stress and tries to achieve balance. In order to accomplish this, the body has to work through these reactions, instead of suppressing them. The medication of choice is that substance which in healthy individuals reproduces symptoms that the patient is suffering from. In homeopathy the medications in use are very diluted, and are called “remedies”, there is No danger of adverse side effects, therefore we consider them safe for use not only in adults, but for children, pregnant women and the elderly. 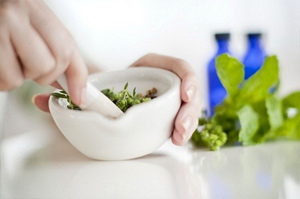 Homeopathic medications consist of natural ingredients, herbal, animal, or mineral in origin and they act on enhancing one’s self healing capacity. Homeopathy can be used in almost all illnesses, but it can not cure them all. Cure depends on more than one factor: the severity of illness, its length, the general well being of the patient, genetic factors, and long term use of conventional medicines. In conclusion, some individuals can be completely cured, whereas in other patients, only an improvement can be expected. According to the World Health Organization (WHO) data, homeopathy is nowadays the second most commonly utilized treatment method, and the rate of growth of usage of homeopathic remedies in developed countries is approximately 18–30%.